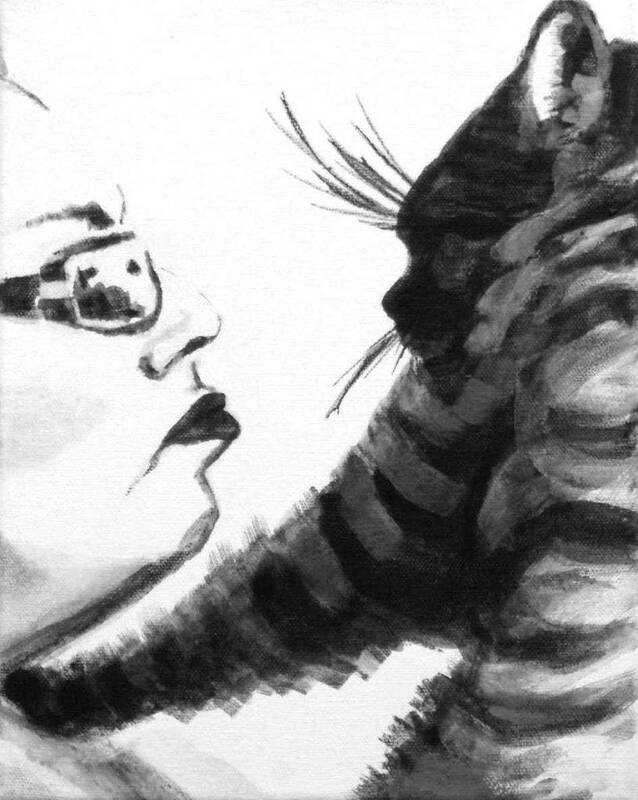 the Woman and the Rascal (self portrait with Boo), 2016, acrylic on canvas, 10″ x 8”, Elizabeth Lisa Petrulis, collection of the Aherns Clearwater, Florida. You have burning questions, comments, propositions? You want to purchase an existing painting, commission a custom painting, book an artists talk, discuss an exhibition? Let’s chat! I value your privacy, I do not share your information. 812-329-4091 Please text or voice message, I am frequently out of range.